Miming in Class is a simple activity which can be used with almost any level to learn and practice vocabulary‏‎. Of course miming is acting out a story or word‏‎ with the body only and without using any language. This has advantages in the classroom (especially with beginners) because it does not require students to come up with possibly difficult language in order to express themselves. In other words, they would act in the same way whether they were miming in English, Japanese or any other language! For this activity you will need to prepare a list of words which you’d like your class to use. 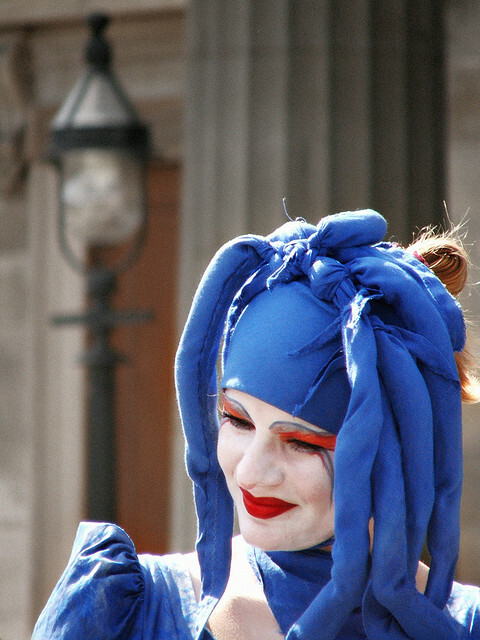 Think about these and make sure each one has a relatively easy mime associated with it. For example elephant can be mimed in a far easier manner than irony. But having said this, don’t just restrict yourself to simple nouns. Actions are ideal here: typing, eating, watching television, crying… And of course, make sure that the words you choose are suitable for the ability of your class! Write each word on a separate slip of paper or flashcard. Divide the class into two teams. Get a student from Team A up to the front of the class and hand them a card. They must mime the word to their own team who must try to guess it. Put a time limit – say 60 seconds – for them to do so. As the student mimes the word, their team call out answers and if they get it right, they get 2 points. However, during this time Team B can’t suggest an answer. Only if Team A can’t guess the right answer can Team B guess. And if they get it right they get 1 point. Now, each team confers to make up 2 good sentences using the word in context. The best sentence (chosen by you) earns the team an extra point. Then, bring out a student from Team B to mime to their own team and the game goes on.